With each new year come new health goals. We tell ourselves we'll finally stop drinking monolithic amounts of caffeine and consuming so much gluten. But, sadly, we rarely succeed from quitting whatever food we wish to remove from our diets cold turkey. Instead, we need to know how to regulate ourselves—and our portions—in a realistic and long-term way. This is something easy to say, but incredibly hard to do. Personally, my vice is ice cream. No matter the temperature or season, it's rare that I don't have a small stockpile of creamy goodness cooling in the freezer. When I've tried to limit my sugar intake in the past, I'd end up bingeing after just a few days. I can't help it; the stuff beckons to me. But thanks to practicing an age-old meditation technique called mindful eating, I'm now able to resist the call. In fact, my entire diet has changed for the better. Mindful eating may be just what you need to finally reach your health goals—read on to learn how! When I first embarked on my mindful eating journey, I was in serious need of guidance. The term sounds simple enough, but what does it really mean? If you're like me, the notion of combining meditation with food summons up a picture of yourself sitting cross-legged and "om-'ing" in between bites of celery. (Spoiler alert: This is so not what it's all about). 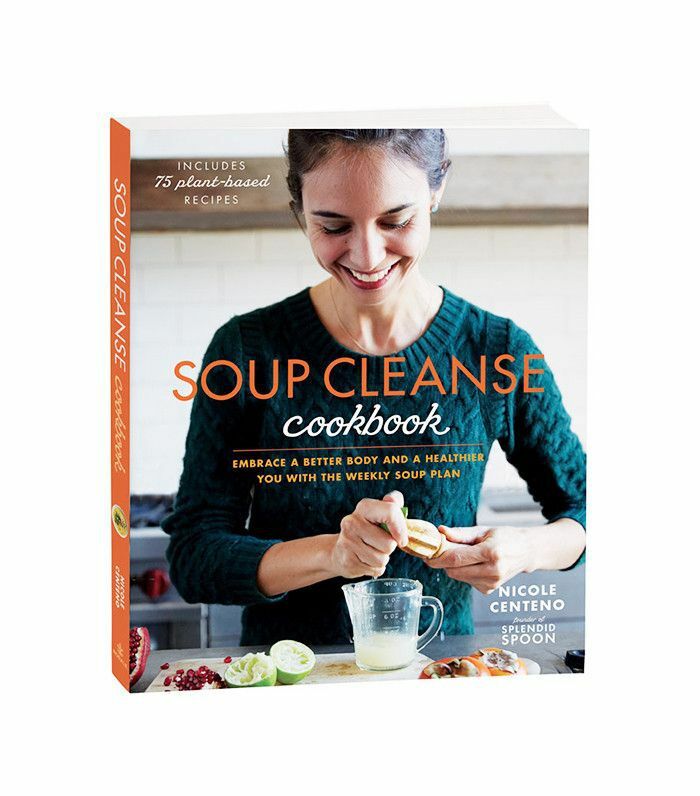 For help, I sought guidance from mindful eating mastermind Nicole Centeno, founder of Splendid Spoon and author of the Soup Cleanse Cookbook. According to Centeno, mindful eating is simply "embracing food as a tool to help you stay present by activating all five senses." This means you pay attention to the texture, flavor, weight, and aroma of each bite you take. That's it. You slow down. You pay attention. This simple practice is a way to relieve stress by grounding yourself in the present, all the while truly appreciating the food in front of you. Personally, I was amazed by the number of distractions that typically surround my meals. Whether it's grabbing a granola bar on the way to work, chewing a snack while sitting in traffic, or eating dinner while glued to my phone, I rarely take a moment to enjoy and appreciate my food. Incorporating a little awareness into my meals resulted in truly staggering changes to my diet. Usually, after a busy day, you can find me scarfing down dinner, barely noticing what and how much I'm consuming. Whether it's salad or pizza, stopping to savor my food doesn't feel like an option when I have a voracious appetite from skipping lunch earlier that day. Centeno knows how hard it can be. The CEO and mother of two didn't always have a seamless relationship with food. "I actually turned food against myself during college when I had a number of disordered eating habits, and this is when I really began to practice mindful eating," she told me. "Mindful eating helped me out of some really destructive behaviors then, but it wasn't until I really created a daily ritual with soup that I found a truly balanced relationship with food." If you're looking to lead a healthier lifestyle (i.e. not bingeing on processed food after failing another diet attempt, like me), then mindful eating is the logical step to take. You can mindfully eat anything, but it helps to indulge in healthy foods you find tasty and satisfying. That's why Centeno turned to soup. "Soup was probably the first thing our hunter-gatherer ancestors made after they discovered fire, and since then, stirring together a pot of victuals has been as natural and soothing as sitting in front of a roaring fire," she said. I have to agree. Especially when we're battling the chilly winter winds, soup is homey and comforting. I, for one, made a batch of lentil and kale soup, following the recipe found in her cookbook, and I definitely felt full and satisfied while still getting protein and greens. I actually turned food against myself during college when I had a number of disordered eating habits, and this is when I really began to practice mindful eating. However, I know that eating perfectly healthy all the time isn't realistic for me. There will always be a birthday party, dinner, or brunch to attend. And although I've cut back my ice cream habits significantly, that doesn't mean I can refrain from all junk food from here on out. According to Centeno, that's perfectly okay. "When you think about your eating behaviors over the course of a year, instead of pressuring yourself to be perfect in every moment, you notice that sometimes you indulge, sometimes you eat very 'clean' and sometimes you are in the middle," she explained. "The word 'balance' is dynamic—you are always working to maintain this state." In other words, the key to a mindful eating practice is simply to take a "regular reset, a grounding moment in your day, a few extra servings of vegetables that will make you feel more in command of your health." Now that sounds perfectly doable. Even for a someone with a sweet tooth as massive as mine. So the importance of mindful eating has been established. But I still needed a little help to stay on the right path. After all, my willpower fades fast when my stomach is growling for any food nearby. Centeno agrees, as "the I'm starving feeling of food taking over" is still her "biggest effort" in maintaining her mindful eating habit. The solution? Just sit down. Sitting while eating makes it a more grounded, calm experience. Centeno makes an effort to sit "even if it's on a city bench for a few minutes." It also helps if you prepare your food before your body starts sending those starving signals to the brain. I made a vegetable-based soup hours before dinner. Once the hunger hit, it was easier to warm up a bowl than it would have been to order takeout. Plus, I felt better knowing exactly what ingredients went into the final product. Food is inherently sensual! It ignites all five senses—dive into them! But then we get to the most important part: the meal. Because I've made it such a habit, eating without TV or my phone felt strange and a little boring. Centeno had the perfect advice. "Invite the food to guide you," she said. "Food is inherently sensual! It ignites all five senses—dive into them! Be like a child and notice each texture, temperature, and aroma while chewing and swallowing. … Guide yourself back to those senses anytime your mind wanders as you eat." Just like traditional meditation, the key is to gently bring your mind back to the present each time it drifts away. In the short time that I've been practicing mindful eating, it's worked. Now that I'm bringing extra awareness to my food, I don't have the same urge to jump to the next quick satisfaction. Dessert just doesn't have the same hold on me. I know I can stick to this healthy practice because it isn't a diet. I love that I can mindfully eat anything. This means I stick to a slice or two of pizza, not half of it; I can tell the instant I've had enough. And honestly, because of this, I look better. I don't consume extra calories I don't need. I've steered clear from sugar highs, food comas, and the like. My energy is up, and I no longer have that dreaded post-indulgence guilt. Nowadays, I leave the table feeling nourished, not just full. Shop Nicole Centeno's cookbook below!